Lord Muthappan is a local deity worshiped mostly in the Malabar regions of Kerala. Considered a manifestation of the duo of Lord Vishnu and Shiva, he is peculiar for many things not least of which is the fact that he was always a rebel. Anybody can enter the famous Parassini kadavu temple, irrespective of caste or religion which is in keeping with the mindset of the God back when he was a child and fought against such oppressive concepts. Toddy (and even fish) are served to both the devotees and the God at the temple premises. 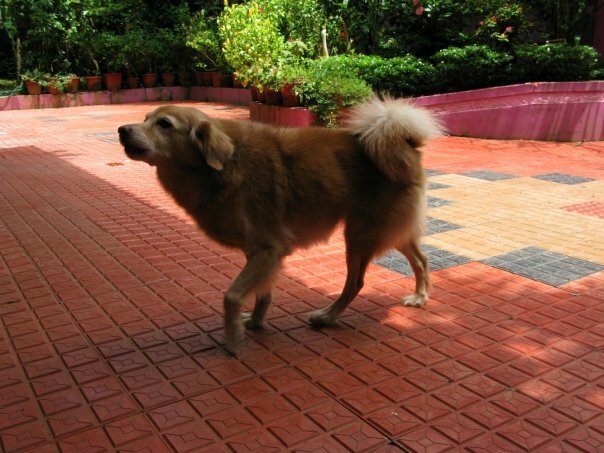 You will always find dogs inside the temple even today as Muthappan had a fondness for them. In fact, the first prasadam of the day is served to them. 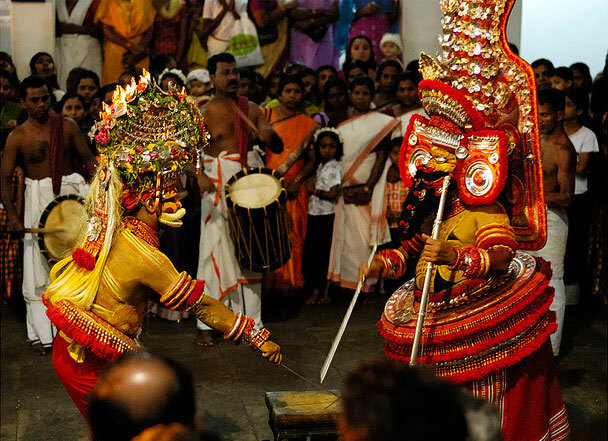 The ritual Theyyam dance performed at the temple is truly a sight to behold, irrespective of your beliefs. One aspect of the daily prayers is that after the Theyyam, the performer is said to be in a trance with the powers of the God within him. During this time, devotees queue up daily and voice their grievances to him. His replies are uniquely rapid-fire speed and punctuated by a trademark loud laugh of his. They are also extremely specific, as most devotees would proclaim. Ya, I can see where the leap of faith is necessary. And I will never force you to believe. But I will tell you a story. One night, a decade ago, we were woken up at home to the sound of our two dogs barking furiously. Assuming they may have seen a wild cat or some such, we did not mind it initially. When the barking did not stop (which was extremely unusual for the dogs, especially Ruby), we feared it may be a robber and so stepped out of the house. We checked the premises but could not find anyone. Before there was the nutty Snoopy, there was the sweetheart Ruby. Curiously, not even our watchman who usually stayed at home for the night. We checked everywhere for him but he just was not there. We did not think too much of it and went back to sleep. The next morning, we woke up to the news that shops in the small shopping complex we owned near our house had been robbed. After checking the complex, we realized that the locks had minimal damage to them. Knowing that he had a set of keys, we asked our watchman. He promised us the keys had not left his possession. He also swore that he had been fast asleep in our house all night though. The first lie led to the next when we challenged him on it - with him stating he had slept inside the car which again did not compute since we checked everywhere. Caught by his own words, he eventually admitted that he had left at night to help the others rob us. We dismissed him but as has always been our folly, succumbed to the tears and did not file charges. Two months later, my father was there in the midst of a crowd nearing 600-800 watching the Theyyam by Muthappan. He did not get into the queue though to speak to the performer because it had already grown too long. As usual, his eyes were on the antics of the dogs around when suddenly he felt someone tap his shoulder. When he turned, he found dozens of people staring at him. They all were pointing to the front where the deity had singled him out and asked him to step forward, cutting the waiting line. Shocked, my dad obliged and went past the hundreds there and to Muthappan. "After coming all the way here, you don't plan on meeting Muthappan?" the deity asked, referring to himself in the first person as is his style. My dad just smiled meekly. "Do you have any worries to tell Muthappan?" My dad spoke of a few things troubling him and Muthappan laughed before responding. "Have faith in Muthappan. Everything will be alright." Muthappan continued, once more with that loud laugh in between sentences. "Didn't Muthappan help you catch the thieves robbing you? Did I not alert you? Have your dogs ever barked like that before or after that night?" It was only then that my father remembered what had happened at home months ago. It had not made the papers and we had filed no complaint. Yet, here was this guy surrounded by literally 600 odd devotees and he cherry picked the one devotee probably eight to ten rows back whose attention was elsewhere and brought him forward, bypassing the queue to tell him that his guardians were our guardians. That he knew of a robbery that many in our own family had not been informed of, let alone the part about how we found out the role of the watchman. How could he have known about the dog that (unlike in the Sherlock Holmes story) did bark on that particular night? How could he have known a story that not many others knew? Even if he had heard the story from someone, how could he have known to pick my dad - no celebrity, by any means - out of a crowd in a temple that sees close to probably 10,000 footfalls everyday? More importantly, why did the dogs bark that night so furiously when they had seen the watchman leave the house every day and even at night for so many years prior to that event? A series of coincidences or divine doggy intervention? 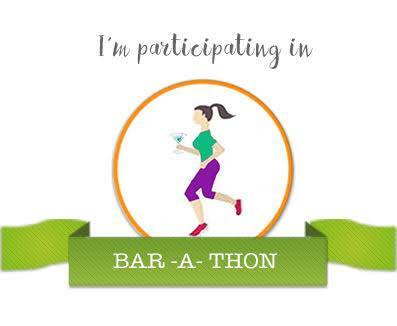 This is my anecdote for the theme "Stranger Than Fiction" for the blogger challenge Blog-A-Thon by Blog-A-Rhythm. You can read other entries for this theme by fellow bloggers here. OMG! That sent shivers down my spine! I was reading as fast as I could, so i could reach the climax and find out what the Lord said to your father! Wow! That memory must still give you the goosebumps isn't it? Superb story, doc! It is something I do recall simply because I have no answer for it myself.. Indeed. I've always been fascinated by the accuracy of those who go into the trance. Thanks for sharing Roshan! Must have been some experience! Miracles, divine interventions... yes, they do happen even though they are hard to explain or understand! This made for such a fascinating read! I agree. I am skeptical of many a Godman though but this is something that I've seen in person and heard the tales from years. I wish people would focus more on such things rather than revert to the past and start all the old Babri, beef et al talk. It's time to explore the universe and what lies beyond our normal line of vision. Thanks for sharing this experience doctor, reinforcing my belief in the Lord almighty. Sometimes I sway, but incidents like these keep my faith alive. God is great! Oh Arpita. Belive me. I've swayed a lot. I am a contradiction of values when it comes to religion. But I do know what I saw and heard. The power of psychic abilities! This must have been quite an experience. These instances do turn us into believers of things we question. True. There is still a lot I question and I remain skeptical until proven otherwise. Wow! That is some story! I really wish though that you had taken action that watchman. Who knows if he will go and plan to rob someone else. You know I really don't understand a lot of things and hence I prefer not to either believe or disbelieve. But the incident you mentioned does make us question how much we understand these things. I know my mom believes in this, she says she has experienced it first hand. Me I am not so sure what I believe. I just know I am an extremely spiritual person. Though I must admit, this must have been such an awesome experience for you. On a side note I love the dance form Theyyam. My parents are firm believers.life has shaken a lot of faith out of me. But I do keep a relatively open mind to new things when possible. My goodness! That truly was stranger than fiction! Believe it or not but such things do exists. That watchman should not have been left! That was quite an experience, eh? As I mentioned to Rachna, yes. The watchman should not have been left. We did live to regret it. What can I say? We always err on the wrong side of sympathy. Well that was really very strange!! I am still wondering how!! Once a priest told me, never try to understand such things with your head or brains just accept it with your heart. Faith can be a wonderful thing. I've heard tales of the Muthappan from others too. And they are all stranger than fiction, but very true, as I'm given to believe. I was nodding my head as I read because I believe in miracles :) Some things remain a mystery for life, we take what we want to from them it's better to be positive. Your last line probably defines me best. It's the take away message from it and how we incorporate the positives into our lives. I have been to Parassinikadavu...but then I was a kid and I was so scared. I have heard so many such stories and indeed they are hard to believe. There are many such stories that do not have any explanation. Thanks for sharing,Roshan. It's been a long time since I've been there myself though it's my home town. But yes, I can see how it would be scary when you are a small child. I would never have believed something like this. Yet there are unexplained things around us. I think this is what gives birth to faith. After all having faith means to believe without having factual reason to. Amazing anecdote Roshan. This story is certainly strange to be true. I come from North India thus I have never known the legends of Lord Muthappan and the story does give me goosebumps. You will never know Muthappan if you are from North India as you said. He is very much a local God. But the story behind him and the theyyam are definitely worth noting, if time permits. Roshan, I was one of the 1st people to post on your blog last night but I can't see my comment. I am kinda Agnostic but when I was a kid (11 or 12) my parents took me to Parassini and we went for the early early morning Theyyam. Back then mom and dad were building a house and as is the norm were facing issues towards completion. Me and my parents just stood around and Muthappan was doing his final blessings round. I distinctly remember my dad only bowing and not uttering a word and Muthappan asked - "Bhavanam undakunnundalle? Sheriyavum." that translates to "Making a house ? Everything will be ok" . And yes everything turned out just fine. Out of the hordes with problems ranging from health, wealth, love to infertility .... how he knew we were the one with construction problems , I dunno. Lucky guess ...??? Short, quick and succinct. And darn accurate to boot! Sometimes I think we do need to trust and take a leap of faith. I must admit I'm a sceptic but my mum and some other relatives have had similar experiences as you describe. I've seen some things too but I always wonder whether there is a scientific explanation. Cynical me! Nicely written...I was hooked to the end. I am pretty much in the skeptic category myself... this just rubbed me differently. But yes, sometimes we do need to take a leap of faith. My best friend is from Kannur and I have heard lot many such stories from her Mom. Unfortunately I haven't yet been able to meet Muthappan. Thanks for sharing your story, Doc! It is definitely worth a visit, especially just before the theyyam performance. Since it is a daily event, it isnt likely you will miss it either. My views are conflicted. I am open to new ideas... but I have seen a lot that is fake too and puts me off. This indeed is stranger than fiction! Well we all need that leap of faith to believe in such things. Faith is surely one thing that's stranger than fiction. Any logic or intelligence applied here is an sheer stupidity. One must just believe, and yes, good things do happen, as is mentioned in your real life story. Thanks... ya, I can't find an answer via logic myself. Probably why I remember it even now. This is fascinating. I being from Mangalore where such things happen can understand. Indeed stranger than fiction. Love Mangalore... studied there for some of the best years of my life. Wow! that was very interesting and there are so many things unexplained around us that no one knows any reason. I loved your post and that piece of information about the God. Thanks. You should read up on Muthappan. You will love how unconventional he is compared to what we see in all other temples. Reminds me of the Velichapadu, actually. Did you get the possessions back from the guard after he was apprehended? Really, truth is stranger than fiction in this instance. No. We didn't. We are dumb that way. Interesting! Thanks for sharing Roshan. I think, many Indian temples are of great significance and miracles do happen. I love reading about the temples and age old traditions. I beleive, there are many like these which cannot be explained by science and we don't have enough knowledge to prove or disprove. I usually am a skeptic to most things that defy an explanation. This though happened to me and my family so can only narrate it as it happened. Strange indeed. But, that's truth. This was powerful. And questioning. Provoking us to introspect. BTW loved your narration. Always loved the Theyyam art form. Never knew it held stories of faith in it. Thank you so much for sharing this one! I have always been intrigued by the story and persona of the God Muthappan which is different from other Gods but did not have the opportunity to visit Parassini kadavu temple.Must visit one of these days.